In this literacy magnet school, Hawthorne students will be intrinsically motivated to pursue opportunities for learning. They will be creative, independent thinkers, and problem solvers, able to satisfy their quest for knowledge through all forms of collaboration and communication. Hawthorne students will contribute positively to their local and global community through their awareness of socio-economic and cultural diversities. Hawthorne stakeholders will maintain a safe, inclusive learning community that supports the needs of all learners. Students will develop critical thinking within an academically challenging, inter-disciplinary, literacy-rich environment that promotes student-to-student discourse as means for learning. 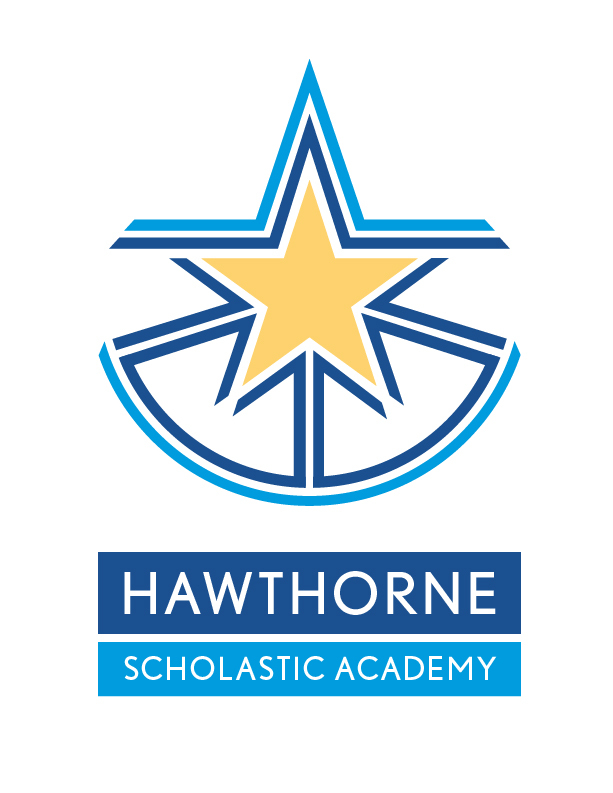 Hawthorne students will be provided with leadership opportunities and diverse cultural experiences. Vision: Teaching can be an extremely rewarding profession. Teaching, for me, is not simply explaining the importance of history and how it may relate to events in the present and future, but also an education on life and how to navigate it. Other than parenting, teaching is the most important work one can do. It is the shaping and forming of a new generation. A generation, that hopefully, turns out to be strong, independent, conscious, global minded, and responsible young adults. A generation that doesn’t just talk about issues of injustice, but can and will put words into action. A generation that can find laughter in almost any situation, but doesn’t disregard their education or mock the past generations that carried them, nurtured them, picked them up when they fell, advised them on all issues possible, and encouraged them to think for themselves. Expectations: Be on time and be prepared. Those two are simple. The third is more difficult. Be a student. Meaning do not settle for what is easy. Think hard, think always, change your mind, rework your ideas, be open to new ideas, and let yourself be confused. Above all, never settle for simple answers, as no important question has a simple answer. Think: it’s one of the traits that make you human! Be on time: As your teacher I will follow the rules and regulations as outlined in the CPS student handbook with regard to tardies, attendance, and any other incidences. Be prepared: Bring all materials everyday as we will use them every day! Come to class ready to learn every day. This includes bringing all classroom materials you will need. Pay attention to the teacher and your peers. Take good notes and do your homework. Respect others. Meaning raise your hand and wait your turn to speak on an issue or ask a question. Make good choices. You are responsible for your own actions. Read, Write, Discuss: The majority of classes start with a quote. Students are to enter the class, read the quote, write their thoughts about the quote, and we will discuss it, hence Read, Write, Discuss. After a minute or two Mr. Streit will read the quote(s) to the class. At this point if a student is tardy for an unexcused reason they will forfeit their point for the day. Each quarter will have roughly 20 quotes (20 lessons), it is understandable if a student misses a few per quarter for a variety of reasons. For example, maybe they were sick, meeting with teacher, or called to the office, etc. So each quarter the Read, Write, Discuss grade will be 16 or 17 points in the Assessment OF Learning category. Assessment Retake Policy: One grade below a 70% on a formal assessment (Test, Quiz, or Unit Exam) may be retaken per quarter. The maximum replacement retake score is an 80%. Technology in the Classroom: I support the appropriate use of technology in the classroom, with the key word being appropriate. Students are allowed to bring in their personal computers, but will follow the 3 strikes rule. If a student is caught using the technology inappropriately on 3 different occasions, they will forfeit this benefit for the entire year. Additionally, there will be no debates on this or the student will forfeit 2 strikes. Discipline: If the rules are not followed I will follow HSA behavior guidelines. In general, a student disruption will be given a verbal or non-verbal warning (tap on the desk, etc.). If a second disruption is to occur, a formal warning will be given. If the disruptive behavior continues then a letter including the student contract will be sent home. This letter will have a section for the student and parent to sign including a reflection area to allow the student to understand and resolve any possible future disruptions. The intent of this letter is to collaboratively resolve any complications while allowing the student to reflect and explain his or herself. It is the expectation that this letter with the appropriate signatures will be returned the next day. If for any reason the letter is not returned the following day a phone call home must occur. If these disruptions become a frequent interruption to the classroom environment a meeting with student, the parent/guardian, and myself will be arranged. For any more serious disruptions, the student will be sent to the office and administration will take appropriate action to resolve the issue. What is the real cause of World War? Unit Exams, tests, quizzes, quarterly portfolios, major projects, history fair, & "Read, Write, Discuss"